We take waste quite seriously in the office. We have a worm farm for food waste, we grow some food on the balcony, we take our plastic bags to Coles for recycling, we do… quite a bit but we have never managed to get to zero to landfill. We have also found that what we do rubs off on our team and what our team does rubs off on each of us. We inspire, challenge and sometimes clash heads over what we should be doing as individuals to live more sustainable lives. We are awesome nerds. 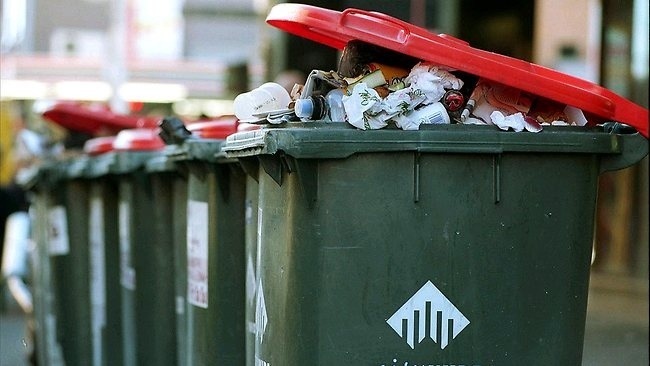 One such moment of awesomeness was when Clinton Craggs of our Sydney office told me he hasn’t had to put his general rubbish bin (aka Landfill Bin) out for 4 weeks. I was filled with great sense of admiration and pride so I had to ask him a couple of questions. What drove you or what was your motivation to avoiding the landfill bin? Honestly, the initial drive wasn’t to specifically avoid landfill bin rubbish. Our main focus has been around healthy living/eating and through this we have stopped eating most dairy, meat and bread (things which generally come packaged or processed) after a couple of weeks we found ourselves having hardly any waste. This then inspired me to see if we could manage no waste. We got a compost bin and successfully did no landfill bin waste for a number of consecutive weeks. What new things have you learnt by avoiding landfill bin rubbish? What has been the hardest change in avoiding landfill bin rubbish? The hardest things to avoid are buying goods without soft plastic packaging and also disposable plastic carrier bags. I guess for us it hasn’t seemed that hard because we embraced it and we haven’t gone to the extreme of doing things like making our own toothpaste and stuff. The biggest challenge is changing other peoples attitude – when you buy something everything is inherently shoved in a plastic bag or packaged in a plastic container and people often look at you like you are from another planet when you say you don’t want those things. What top tips would you give people to reduce their landfill bin rubbish? 1. Embrace the challenge. Find innovative ways to reduce and re-use things that you might ordinarily throw away but don’t get overly concerned about it. Set a target like aim to throw a bag of landfill bin rubbish out every 2-3 weeks. 2. Re-usable drinking bottles. Take one with you wherever you go. You’ll be surprised who will give you free water if you just ask for it…..! Cinemas, airports, services stations etc. 3. If you have space, get a compost bin (they can be expensive so we just bought a 60l bin from Bunnings for $13, make a few modifications and you have a great compost bin. 4. Re-usable shopping/grocery bags – seems simple but grabbing all of your groceries without stuffing each apple into a plastic bag and having re-usable bags to carry your things home in is great. This eliminates some of the harder to recycle items. 5. Get a battery charger and some rechargeable batteries for all or your remotes and toys etc. Makes sense really! 6. Eat more things that come directly out of the ground! 7. Watch ‘The Clean Bin Project’. I love the last top tip – WASTE IS UNHEALTHY. True on so many levels. It’s bad for the ecosystems that we put landfill into, its bad for the environment, its bad for global warning (methane), its bad for future generations and most waste comes from an unhealthy lifestyle. Clint would also like to acknowledge his girlfriend Eileen who has been an integral part of achieving zero to landfill, particular note was the impact of Eileen’s vegetarian diet on their ability to be Zero Landfill and Clint’s health. So thank you to Clinton and Eileen for providing inspiration and pride in achieving a Zero Landfill Lifestyle. Well done Clint. Your dad has been telling me all about zero landfill man today!